With their classic preppy pattern and easy breezy fits, savvy shoppers are zeroing in on simple striped tops, tees and shirts for all the family. The pinnacle of ease when it comes to tops, there’s been a resurgence in the world of stripes and you’re going to want to get in on the action, pronto. Covering all bases and every member of your growing clan, snapping up our pop-over blouses, deck shirts, iconic Harbour jersey tops and Little Joule unisex Bretons is a fast-track to relaxed style (and simplicity) for the whole family this season. A few key fashion factors are contributing to the current soar in stripy popularity right now. Starting with the time of the year and the fact that we’re all looking for a helping hand when getting ourselves and the household dressed in the mornings. It’s safe to say that the doom and gloom of winter is behind us (hooray! ), but let’s face it, it’s not quite height-of-summer beach frocks and Hawaiian shorts terrain just yet. Uncomplicated, fuss-free stripes are hands down suitable for anything the seasonal changeover has to throw at us, and will never feel out of place come downpour or heatwave. Why else would our very own quintessentially British style guru Kate Middleton, H.R.H. the Duchess of Cambridge choose trustworthy stripes for her first ever Vogue shoot? Appearing on the front of the magazine’s special centenary edition, Kate shunned gowns and tiaras for clothes she likes to wear off duty. The understated red and navy Breton being top of her countryside wardrobe arsenal. Good enough for the Royals, good enough for us. Every style expert across the globe agrees. Hello! Fashion Monthly’s Shopping Editor, Rachel Story wouldn’t be without her iconic stripes. So where to start in the hunt for stripes? Well it doesn’t come much more versatile than a Harbour top. In a rainbow array of options from French navy to spring green and everything in-between, this three-quarter-length sleeve jersey top is just the ticket for battling mixed weather. Or try the short-sleeved relaxed fit Nessa tee for something a little more airy and holiday-perfect. Why not make them pop with fancy statement jewellery? 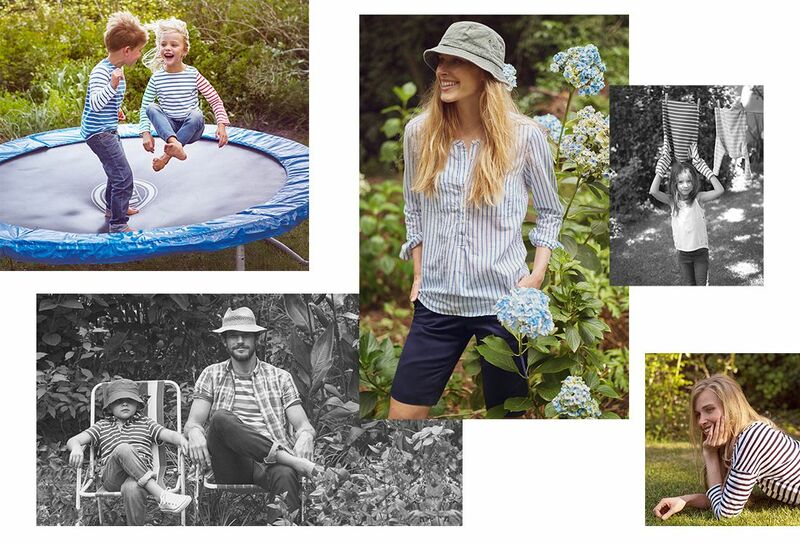 For the children, our new unisex Little Joule Stripe collection is a brilliant way to kit them out for the new season. 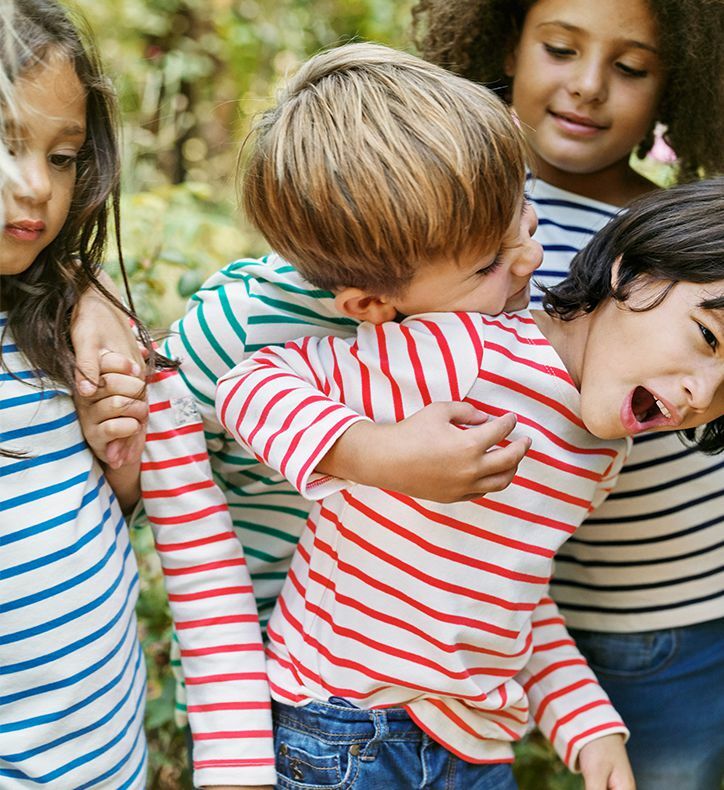 Striped t-shirts designed with mixing and matching in mind – this collection’s made for doing swapsies within the brood – for boys, for girls, for both, you decide. 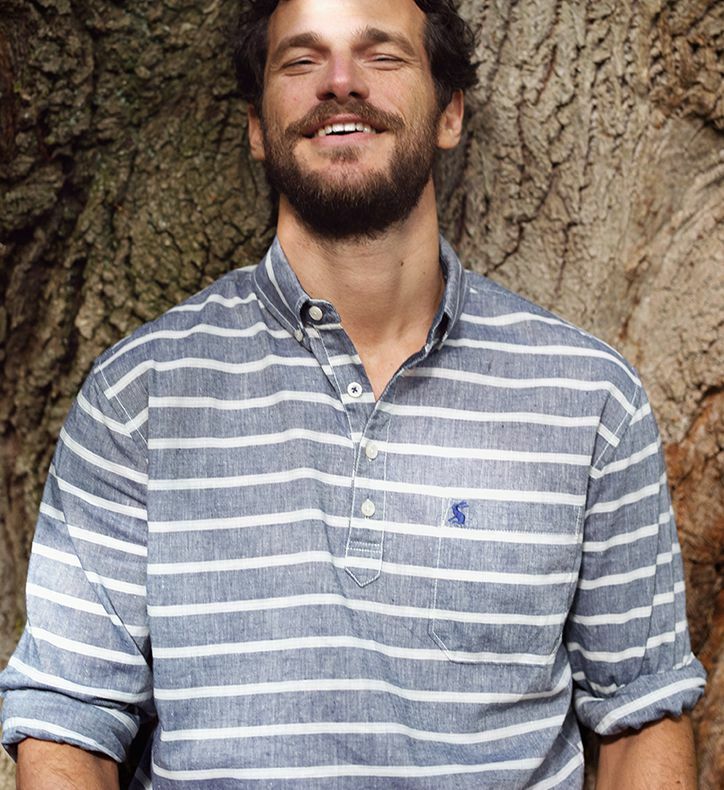 On the menswear side of things, it doesn’t come much easier than a classic striped polo shirt. If you’re looking for a shrewd spring/summer spin, it’s time to try a chunky deckchair stripe that goes hand-in-hand with go-to chinos and jeans. Days off enjoying bike rides, the beach hut and sailing call for the layer-perfect deck shirt. You won’t know how your wardrobe worked without them. Whether you’re joining the wave of devotees for the first time, or are a self-confessed collector, we’ve got a selection of new stripes just for you.